They were headed for a Paradise, Calif., holiday, but a B.C. 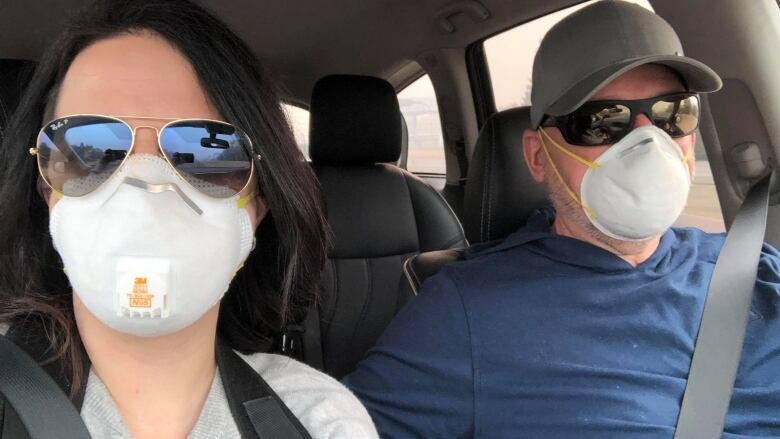 couple are instead spending their vacation in a Walmart parking lot helping wildfire victims. Destinee and Paul Klyne, of Penticton, had planned a restful break in the northern California town for mid-November, but then a deadly wildfire erupted, destroying much of the community. Despite that, the Klynes decided to go ahead with their trip and flew to the region earlier this week to help out. They've been serving meals to fire evacuees just outside Paradise — everything from hot dogs to pasta to quesadillas. "Yesterday, we served 1,200 meals," Destinee Klyne said. "We just did up 500 quesadillas, and they're gone." Every morning, the couple has been driving from Sacramento, where they are staying, to Chico, a city about 24 kilometres west of Paradise, where many of the evacuees have ended up. Paul Klyne said they asked where help was needed, and were told it was a Walmart parking lot. The Klynes describe the parking lot as filled with people either looking for help or providing it. 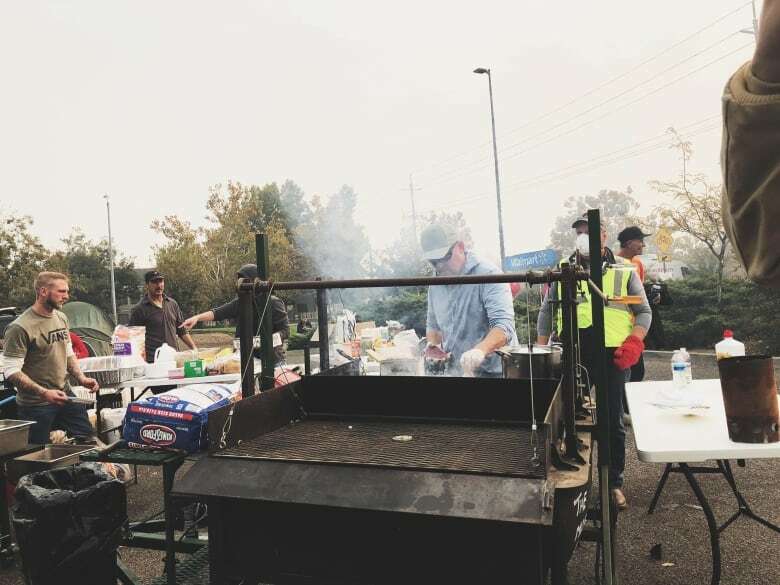 Food trucks, tents and volunteers dot the area with smoke so thick Destinee said it is difficult to see the Walmart sign from the other side of the lot. The couple have also been giving out $25 gift cards bought with money sent in by friends and family. Destinee said she has seen evacuees filing in, some in cars with their side panels melted off, with few belongings. "Words fail me. They are literally starting all over," she said. 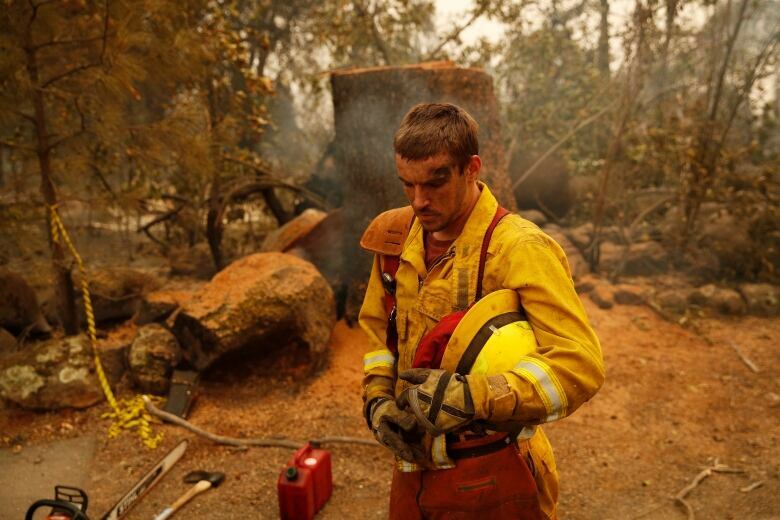 The fire has been called the deadliest wildfire in the United States in a century. At least 63 people have been killed and 600 are still missing. Paul recalled one evacuee who was unable to rescue his elderly mother from the fire. "It's devastating," he said. "I had to walk off. I talked to him for a while and I took leave for half an hour." Still, the couple said witnessing the spirit of giving and gratitude has been heart-warming. "I've had more hugs from strangers than I have in my whole life," Destinee said. Paul said although the couple's efforts might be miniscule compared to the scale of the devastation, a little compassion goes a long way. "When it's dark, it's hard to see the light. This helps them to know there is light. That we care. The world cares. And we're here to help."